Everyone does something they might later regret in their lives. Unfortunately, some of these things can spiral out of control and end up as criminal charges, including DUI. A mistake, especially when no one is hurt, should mean a jail sentence or a ruined reputation. 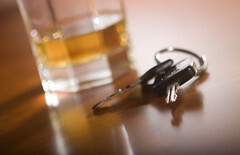 The help of a skilled DUI defense attorney can make all the difference. Three men are being charged for allegedly stealing two golf carts from a Washington County golf course for a joyride. According to the Peters Township police chief, the three alleged joyriders were able to dislodge part of the fence and enter the golf course after hours on a Saturday night. The three suspects were all 24-year-old males. One of the more difficult aspects of DUI cases is the vast range of initial charges that can stem from it. Many of them are simply someone being pulled over and deemed DUI by the police. Yet others start with a crash — into a pole, or a building, or other cars, or tragically, a human being. With so many complications, it’s in the interests of anyone who finds themselves under DUI charges to find the best defense possible. 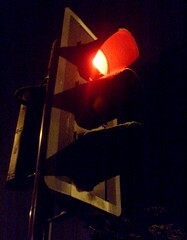 A driver suspected of DUI ran a red light at an intersection, and five people were hospitalized. Delaware State Police say the driver was in a 1998 Buick Century in Milford, Delaware, when he ran a red light at around 2:45 in the morning. The Buick hit the passenger side of a 2008 Nissan Altima driven by a 45-year-old man. A DUI arrest does not have to mean a DUI conviction. While some cases are obviously clear, so many more have flaws, whether it be the breath test or a blood test, or improper arrest procedures — any number of things can go wrong in the arrest and charging process. It’s only possible to take advantage of these flaws, however, with the help of a skilled and competent DUI defense lawyer. A man has been charged with a fourth DUI offense after a crash that caused three people to sustain injuries, including the suspect himself, in Delaware. The 48-year-old driver was driving a Mitsubishi Eclipse, according to reports, in Middletown, when he attempted to pass a tractor-trailer moving south in front of him. When he did so, he crossed into the northbound lanes and struck a 1991 Nissan NX operated by a 42-year-old man of Newark, Delaware. Everyone has the right to a fair trial, no exceptions. It doesn’t matter if it’s the first arrest or the fifth — the defendant has the right to speak, as well as the presumption of innocence. Sometimes, this can be forgotten, however, in the prosecution’s zeal to prove his or her case. It takes an aggressive and engaged defense to make sure the defendant’s rights are observed at all times. Police say a resident of Downingtown has been charged with DUI for the third time in as many months in West Whiteland Township. The 42-year-old man was arrested and charged with a DUI after an accident near the intersection of Route 100 and Route 30, according to police. Officers received a call concerning an erratic driver and claim they saw the suspect’s vehicle run into a traffic signal box and two other vehicles. 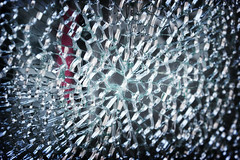 While most DUI incidents end with minor damage at best, all too many end in tragedy. These especially require a lawyer with both skill and discretion in the defense’s corner, someone with the experience to understand what a difficult time it is for everyone involved, including the defendant. A man has been ordered to stand trial on drunken driving and endangerment charges after he backed over his own 12-year-old daughter during her first date, killing her. The 54-year-old man from Pittsburgh waived his right to a preliminary hearing after prosecutors for Allegheny County added two counts of endangering the welfare of a child to the previous charge of driving under the influence. Everyone deserves to have their side of the story told, especially when it comes to court cases or arrests. This includes arrests for driving under the influence. Ultimately, only the one who was driving really knows just how impaired he or she might be at any given time. Sometimes, not even the one being accused was aware of being above the legal limit. There are many, many things that can lead to a DUI arrest, but really only one thing that might mitigate, reduce, or even dismiss charges — a good DUI defense lawyer. Police have filed marijuana charges against two Steelers running backs after a traffic stop just before the two were going to take a flight to play in a preseason game in Philadelphia. The two men were charged only hours before the event was to begin. Early Saturday morning an officer in Old City Philadelphia was sitting in his cruiser when the vehicle was struck by an SUV. The impact forced the cruiser up over the curb and into a lamp post. The officer suffered non-life threatening injuries and was transported to Jefferson Hospital where he was admitted for treatment. The driver of the white SUV was arrested for driving under the influence after blowing nearly twice the legal limit when a breathalyzer was administered. The officer is listed as being in stable condition. The driver of the SUV was uninjured. This is the third strike in a row for a man from Downingtown who has been charged with DUI three months in less than 90 days. Dharmesh Vaswani was arrested for the first time on May 31st by police at a DUI checkpoint on North Pottstown. In the last week of July, he was arrested again, after he was found asleep in his car that was parked incorrectly in West Chester. And then on August 8th a caller reported an erratic vehicle and when police responded, they found that the car Vaswani had been driving had struck two other vehicles as well as a traffic signal box. It is not known if there were any injuries resulting from the accident, and there has been no comment made by either Vaswani, or his attorney. A Pittsburgh man, fifty-four-year old Richard Benton, has been arrested in connection to the death of his twelve-year-old daughter. Benton and the girl’s mother, Carla Harris, had driven to pick the girl up from her first date. When the girl got out of Benton’s SUV to pose to have her picture taken with her date, the vehicle drove over her, dragging her until it finally hit a tree. Benton had also gotten out of the vehicle and claimed that he thought it was in park at the time. Police have charged Benton with two counts of endangering the welfare of a child as well as a DUI charge.